Don MacDonald, creator of a most excellent web comic on Machiavelli, recently gave a presentation for TEDx in Boston about why he picked my favorite Florentine for his subject. 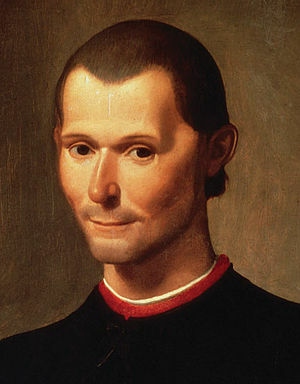 Ex Urbe writes a wonderful post about the world in which Machiavelli lived in order to provide some context and understanding to the man and his work. Definitely worth a read. Coincidentally, I just finished Niccolo’s Smile by Maurizio Viroli. Viroli is an unabashed fan of Machiavelli and that fondness for him comes out strongly in this work. Credit needs to be given to the translator of the work (from the Italian) because one gets the impression that Viroli is telling you about a close, personal friend rather than a man who’s been dead for half a millennium (and been vilified for much of that time).